- A THRILLING LEGACY INSPIRES THE JAGUAR SIMOLA HILLCLIMB IN MAY 2019: IT’S THE 10TH EDITION! Created from humble beginnings as an initiative to attract renewed interest and tourism to the scenic coastal town of Knysna, the Jaguar Simola Hillclimb has rapidly evolved to become South Africa’s premier motorsport lifestyle event. This year, from 2 to 5 May, the Simola Hillclimb celebrates its milestone 10th edition and the sixth with Jaguar occupying prime status as the title sponsor of this truly remarkable automotive extravaganza. The Hillclimb was conceived and created by Knysna residents Ian Shrosbree, Chick Ramsay and Francis Cusens, embodying their passion for all things motoring, while addressing the need to bolster the local economy and tourism sector. “The event came about as a result of the 2008 financial crisis,” says Shrosbree, director of Knysna Speed Festival which owns the Jaguar Simola Hillclimb. “Knysna’s economy is based on two pillars, comprising tourism and construction, and in the aftermath of the financial crisis, both crashed. “Francis, Chick and I decided to run the Hillclimb to attract people to Knysna who would hopefully also invest in the town. Initially, our objective was to do one event to see if there was appetite and appraise the future after that. The Simola Hill leading up to the prestigious Golf and Country Estate lent itself to the purpose admirably, and the beautiful setting has been an integral part of this event’s attraction,” he adds. Thanks to the support of Knysna residents and business owners, the long-standing backing of key sponsors and partners, as well as the enthusiastic involvement of the motoring and motorsport communities, the Simola Hillclimb flourished and has grown exponentially over the years to become the must-attend motoring event of the year for competitors and spectators alike. The 2013 Hillclimb was unfortunately cancelled due to unforeseen circumstances, but it returned even bigger and better in 2014 with Jaguar coming on board as the title sponsor – a prime position it has retained through to the historic 10th edition this year. Franco Scribante totally dominated the 2014 Hillclimb, winning both categories in his remarkable Chevron B19. In 2015 the trophies were split between Charles Arton (March Formula Atlantic) and Des Gutzeit in his wild Nissan R32 GT-R. Nowhere is this more evident than in the number of classes, which started out with just one in 2009 but now climbs to 20 this year with the separation of the Single Seater and Sports Cars for the first time. This enables drivers to compete against comparable entries for individual King of the Hill titles, along with those awarded for Modified Saloon Cars and Road-going Saloon Cars/SuperCars. A record of over 200 entry applications was received for the ninth edition in 2018, with the final standings reflecting a repeat of the 2017 winners, despite the intense level of competition. Most notably, Bezuidenhout destroyed the Simola Hillclimb record with an astonishing time of 35.528 seconds on his first outing with a Gould GR55 – a specialised Hillclimb-racing single seater. Accommodating the large number of competitors has also been a mammoth task for the organisers, with the original 100-metre temporary open-air “pit lane” simply located on the side of the road for the first event. Extensive roadside expansion and ground work over the years now provides 660 m2 of dedicated marquee-style covered pits. Last year, the competitors clocked 1 406 timed runs up the 1.9 km Simola Hill during the practice, qualifying, class finals and Top 10 Shootout sessions – a far cry from the total of 103 runs recorded a decade earlier! Equally noteworthy is the number of automotive brands represented, almost doubling from the 25 that took to the start line originally to 45 in 2018. Eight competitors have become stalwarts of this event, having competed in every Hillclimb to date, comprising Willem Bower, Jacques Bower, Shane Naidu, Nico Janse van Rensburg, Rodney Green, Di Dugmore, Dave Alexander and Fred Phillips. 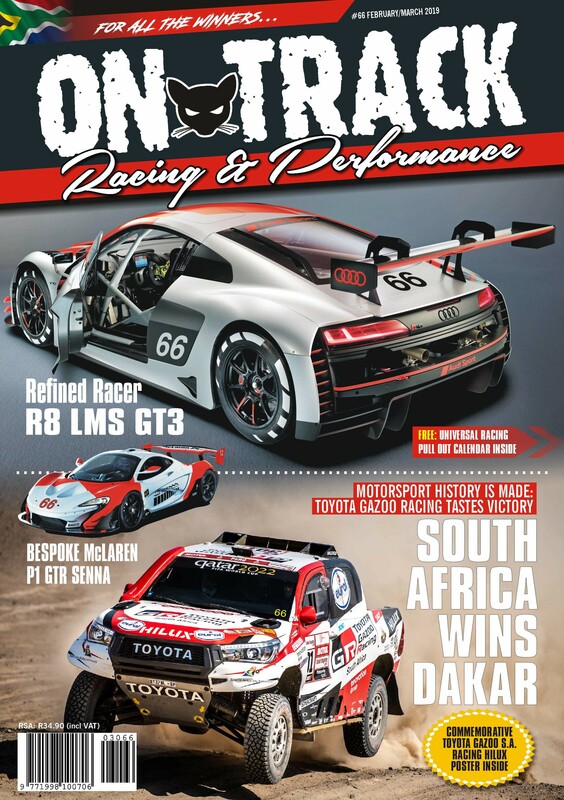 A further 17 drivers are avid regulars with five events notched up, including famous racing drivers such as Graeme Nathan, Peter Lindenberg, Enzo Kuun, Willie Hepburn and Dawie Olivier. The event website (www.jaguarsimolahillclimb.co.za) has become a key asset for the dissemination of information, competitor entries and ticket sales, reaching 20 556 unique visitors and almost 30 000 returning visitors in 2018. This is supported by the extensive social media exposure on Facebook (with a reach of more than 2-million), Twitter where the Hillclimb trended in 2018 for all three days, plus the ever-growing Instagram following. 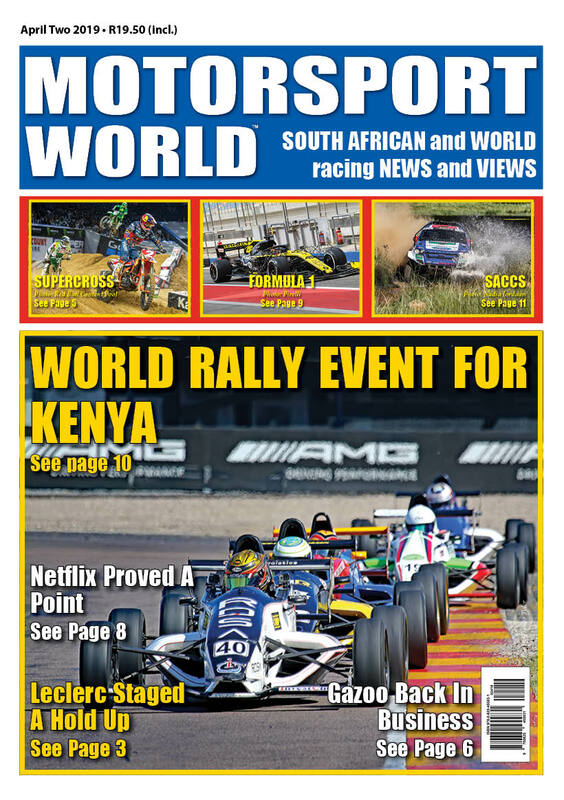 The exposure provided by motoring and lifestyle media has also played a crucial role in driving the remarkable success of the Jaguar Simola Hillclimb. A total of 112 journalists, bloggers, photographers and videographers attended last year. Not surprisingly, the Jaguar Simola Hillclimb continues to be recognised as one of the top sporting events in the country. In 2015 it won the ‘Best Tourism Activity’ category and was a ‘Proudly Knysna’ nominee at the Sanlam Knysna Awards. The annual SA Sports Industry Awards saw it acknowledged as a finalist for the ‘Best Live Experience’ for three years running (2015 to 2017), as well as in the Cutting Edge Sport Award in 2016. The same year it was nominated as a ‘Motorsport Event of the Year’ by the International Historic Motoring Awards in the UK.